When the vision came, he was in the bathtub. So begins the madness of Louis Daguerre. In 1847, after a decade of using poisonous mercury vapours to cure his daguerreotype images, his mind is plagued by delusions. Believing the world will end in a year, Daguerre creates his ‘Doomsday List’: ten items he must photograph before the final day. The list includes a portrait of Isobel Le Fournier, a woman he has always loved but not spoken to in half a century. In this luminous novel, Dominic Smith reinvents the life of one of photography’s founding fathers. 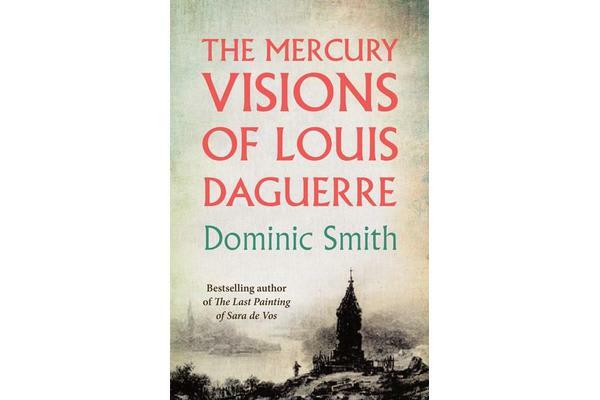 Louis Daguerre’s story is set against the backdrop of a Paris prone to bohemian excess and social unrest. It is here, amid this strange and beguiling setting, that Louis Daguerre sets off to capture his doomsday subjects. Louis enlists the help of the womanising poet Charles Baudelaire, and a jaded and beautiful prostitute named Pigeon. Together they scour the Paris underworld for images worthy of Daguerre’s list. But Louis is also confronted by a chance to reunite with the only woman he’s ever loved. Half a lifetime ago, Isobel Le Fournier kissed Louis Daguerre in a wine cave outside of Orleans. The result was a proposal, a rejection, and a misunderstanding that outlasted three kings and an emperor. Now, in the countdown to his apocalypse, Louis wants to understand why he has carried the memory of that kiss for so long.